One Direction died so that Brockhampton could live. Regardless of what the Grammys may try to tell you with their nominations, BROCKHAMPTON are the year’s breakout artist. The rise and rise of the “Southside One Direction” is an unparalleled artistic achievement and a feat of incredible ambition, with three albums and a whole host of fantastic songs released in just six short months. 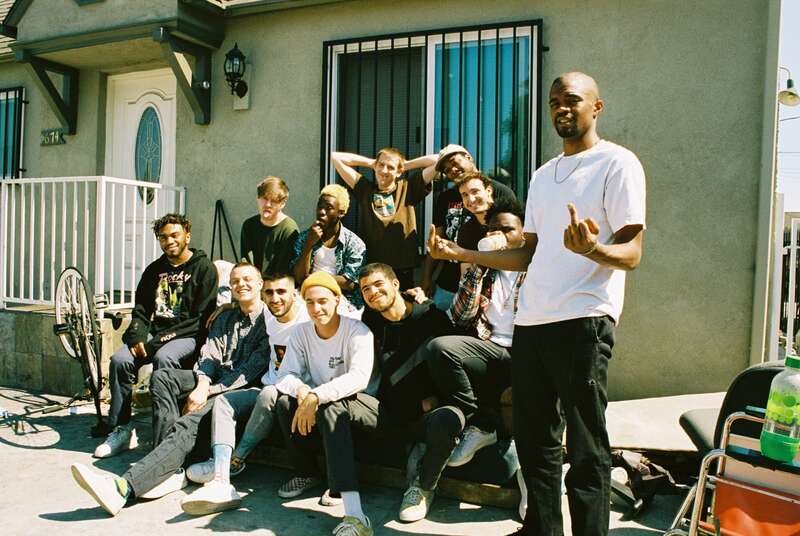 For the self-professed boy band, SATURATION III marks the culmination of the SATURATION trilogy started back in June, a multi-faceted art project combining music, lyrics, visuals and stories to chronicle the journey of 14 young upstarts from nothingness to their status as the hottest group on the planet right now. Each of the SATURATION albums have carved themselves a distinct identity to their companions: the first installment was the grand unveiling of the group’s style, an album packed with high quality tunes and charisma; SATURATION II was a far more groovier album with great beats and fantastic hooks. SATURATION III, then, earns the status as the group’s most melodic album to date. Opening track ‘BOOGIE’ is among the best tracks produced by BROCKHAMPTON, driven by an instrumental combination of dance-like percussion, synths and a damn cool sax. It’s a raucous opener which gives each rapper a chance to shine: Kevin Abstract delivering an infectious hook and the tongue in cheek line “Best boy band since One Direction/Makin’ niggas itch like a skin infection”, JOBA recalling their SATURATION opener ‘HEAT’ as he sings “Break necks, I’m the chiropractor”, and then Merlyn Wood singing about his willie. Overall it’s astonishing stuff from the boy band, combining everything that has made them so fresh and exciting over the past year into one irresistible track. ‘ZIPPER’ packs a trippy beat and layered instrumentals, furthering SATURATION III as familiar, yet fresh approach; Wood even sneaks in a reference to Anthony Fantano (perhaps better known as The Needle Drop) in his verse. This is alluring, charismatic stuff. ‘STUPID’ takes some cues from 90s West Coast rap. It’s a slower and lower-intensity track, smoother in its melody, much like proceeding track ‘BLEACH’, which has more of a bounce to its beat, the lyrics carving deeper and darker: “Don’t let God see me, I got a lot of demons/And I been sleeping with ‘em” sings Ameer Vann; “They said do you make mistakes or do you make a change?” asks Dom McLennon. ‘ALASKA’ continues to mellow the album but stomps out with a lot more confidence and swagger, both lyrically and tonally. But leave it to BROCKHAMPTON’s hook master Abstract to pump the energy back up with ‘HOTTIE’. Whilst the vocal delivery is a little more subdued, the song still bears a catchy and enjoyable hook to shake things up, as well as a more lively rhythm . This is a boy band writing some top-notch pop songs masquerading as hip hop, and damn do they know it. But ‘HOTTIE’ is just the warm up to ‘SISTER/NATION’. The group take clear influence from Yeezus-era Kanye West with their production: the electro-dance sound is heavy and its structure much more progressive than any other tracks. Rapper Matt Champion really shines here with an intricate flow. The song transitions from its wilder opening into a more mellow closing half, simpler in its texture yet with an anthemic touch to its vocals, McLennon’s verse rivalling Champion’s in the process. ‘RENTAL’ and ‘STAINS’ really bring home the difference in SATURATION III to its predecessors. It’s an undeniably slower and lower intensity listen, focusing more on the melody and lyrical content over the bells and whistles facade the boy band could have easily fallen into. But whilst it may take a couple of listens to truly settle in, make no mistake about it, SATURATION III is every bit the masterclass that parts I and II were. With their fourth album Team Effort confirmed for a 2018 release, at this stage it’s almost unfair that one collective can be this damn talented. If this is the direction that boy band music is headed in, then I’m loving it.